Nowadays, people all around the world are doing what they can to live a healthier lifestyle, and this includes incorporating fresh food into our diets; however, once we put those fresh fruits, veggies and meat into the fridge, it becomes all too easy to forget about them. 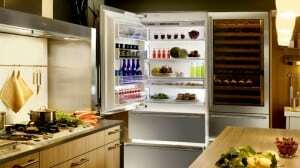 Furthermore, foods that we store in the refrigerator do not stay fresh forever. If you are tired of buying foods only to have them go bad before you get a chance to eat them, improper storage could very well be the cause. After confirming that your fridge is properly staying cool, you can use these tips below that will help keep those foods fresher, longer. fridge to prevent further ripening. Bread can usually be stored in a breadbox or on the counter; however, you can also store it in the fridge to slow down the process of mold growth. You can store butter in its original packaging inside of a refrigerator compartment, but not inside the door. If you do not use butter that often, it can actually be stored in your freezer for up to six months. When storing eggs, they have a better chance of staying fresh when the temperature is consistent– usually when placed on the middle shelf. For the best results, store the eggs in its original carton and avoid transferring them to the fridge’s egg container. For easy access, we tend to store milk on the top shelf; however, to keep it tasty and fresh, it should actually be stored on the bottom shelf, all the way in the back, as the temperature is the coldest in that area. Yogurt, sour cream and cottage cheese should also be stored on the bottom shelf for the same reason. For easy access, consider stacking these items on a turntable. That way, you’ll be able to see the expiration dates. Packaged Raw Meat again, for the best results, packaged raw meat should be stored on the bottom shelf. Added bonus: if juice from the meat drips, you won’t be risking contaminating the other food in the fridge. In most refrigerators, there is a specific drawer for fruits and vegetables or drawers that are labeled as “high humidity.” For the best results, fruits and veggies should be stored in the area of the fridge where there is humidity as this will help keep the produce moist. Be sure to store them in their original packaging or in a loosely-tied plastic bag. If you discover that the food in your refrigerator is not as fresh as it should be, then chances are that your refrigerator needs to be repaired. Contact C&W Appliance Service for your refrigerator repair needs.